Manila, Philippines – Being able to eat healthy food is something that we often take for granted because it is a norm for us. But for many Filipino children and their families, access to nutritious meals is a constant struggle. Satisfying hunger is one thing; ensuring that the food is nourishing is another challenge altogether. This nutrition gap can lead to deficiencies that deprive a growing child’s body of proper nutrients needed for growth and brain development. Rebisco Marketing Director Rey G. de los Reyes talks about the Pasobra Pack campaign during the turnover at Bagong Silang Elementary School. According to data from UNICEF, two of the main micronutrient deficiencies are iron and iodine. Iodine is vital for normal growth and tissue development. Lack of iodine can contribute to brain damage that is otherwise preventable. It is most devastating during fetal development and the first few years of a child’s life. is the “most common and widespread nutritional disorder in the world.” Anemia, which occurs when red blood cells do not have enough iron-rich protein known as hemoglobin, can be detrimental to a child’s physical and cognitive development. It can also affect their productivity as adults. Recognizing this need, local snack manufacturer Rebisco is pitching in to help make a difference in the lives of young Filipinos. For every purchase of a Rebisco Cracker 200g handy pack aptly dubbed Pasobra Pack, Rebisco allocates a portion of the proceeds for the production of specially fortified biscuits. These ‘nutribiscuits’ are formulated with much-needed micronutrients—particularly iron and iodine—that help equip school-age children to be physically healthy and mentally active. Senator Sonny Angara at the launch of DepEd Caloocan Division’s plans for 2019. Rebisco has teamed up with the Department of Science and Technology-Food Nutrition Research Institute (DOST-FNRI) to develop these nutritious biscuits, formulated to address the micronutrient deficiency problem prevalent in indigent communities. 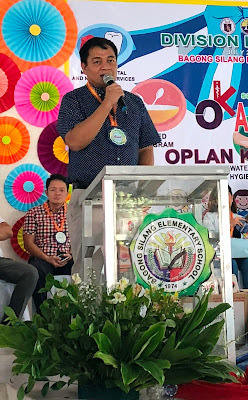 Rebisco recently unveiled this advocacy program via the Department of Education (DepEd) Caloocan Division’s Oplan Kalusugan Program. The first batch of specially fortified biscuits was turned over during the launch event held at Bagong Silang in Caloocan, where Rebisco also set up a sampling booth for residents and students. For the current academic year, Rebisco is providing nutribiscuits, supplemented by main meals from DepEd, to a total of 871 students from Grades 1 to 3 in three Caloocan-based public schools: Bagong Silang Elementary School, Gabriela Silang Elementary School and Sto. Nino Elementary School. Every purchase of the Rebisco Crackers Pasobra Pack is equivalent to one specially fortified biscuit for one school day. 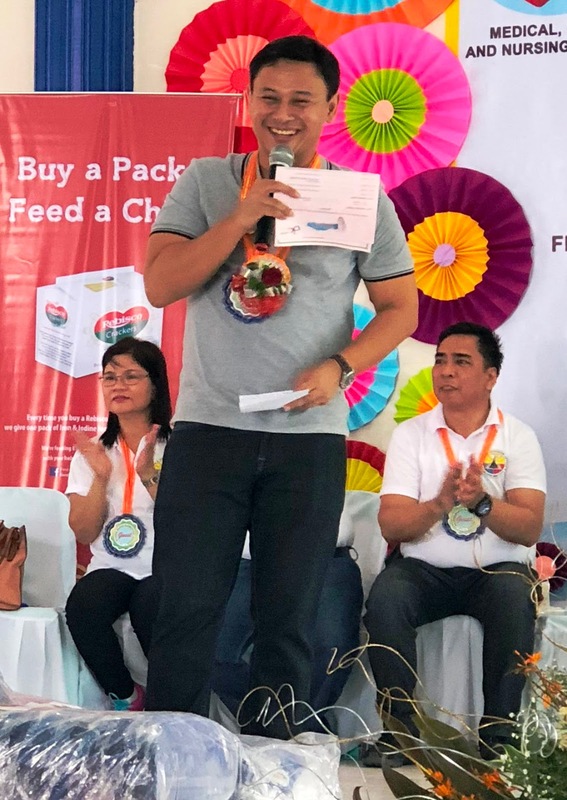 For the month of July, Rebisco has produced enough nutribiscuits for 1,120 children that will cover 120 days starting the 2019 school year. The snack food giant is continuously working to increase this number to help feed more children. 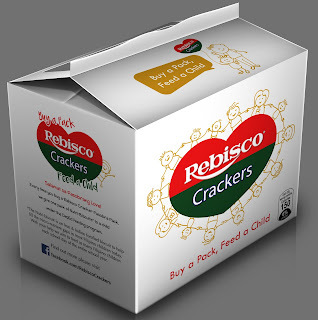 Every purchase of the Rebisco Crackers Handy Pack is equivalent to one biscuit for one school day. Check out facebook.com/RebiscoCrackersPhilippines for more information.